Which interface levels are supported by the SATELLINE-EASy / -EASy 869 / TR1 / TR1-869 ? *For the RS-485 operation, the port2 must be configured by the user to RS422 mode and then take care of the termination by the external cable or adapter. The difference of NARS2 and CRS-PB is that NARS2 provides two wire connectivity (4-wire for RS422), whereas the CRS-PB provides D9 connectivity. I have a SATELLAR-1DS/10DS in the Source Routing Mode. Can I do data and NMS monitoring simultaneously? If your modem has the physical serial port in mode RS-232, you can connect an Y-cable (YC0500) to the port and have both, data and NMS monitoring, at the same time. 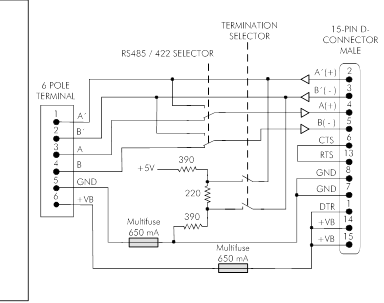 If the port is supporting RS-422/RS485, this is not possible. What should be taken into account when configuring SATELLAR network with repeater stations running in the Packet Mode? All repeater stations can be SATELLAR-1DS, if they only repeat the received data to the next station (and do not for example forward IP packets to other networks or do Serial IP functions). Forwarding via repeaters is done based on Packet Routes and RMAC addresses and processed by the RU. The Routing / IP / IP Header Compression must be switched to “OFF” for all modems in the network. The Modem Settings / Packet Mode Radio Access Control / Network Topology must be set to “Repeater” in all modems in the network. Consider also the effect of the added station to the overall end-to-end latency and the automation protocol used. Why the Basic mode (sometimes referred to as transparent mode) is not working in SATELLAR? 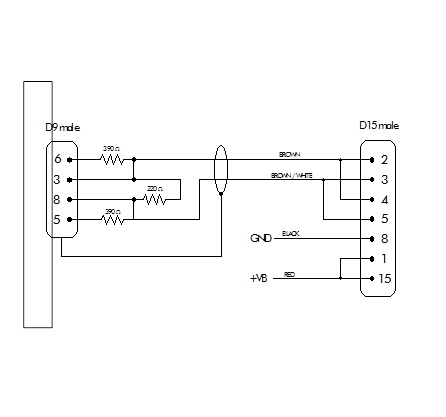 Radio is not transmitting the data it is receiving from the serial port. With the Central Unit (CU) firmware version 1.3310 and earlier and (Radio Unit) RU firmware version 5.5.0.0 or earlier, set the Modem Settings / Packet Mode Radio Access Control / Training Sequence Length to value “Full”. In newer versions (when available), you are able to enable the basic mode regardless of the Training Sequence Length parameter. What do I need to take into account about configuring SATELLAR-2DS to synchronize its time from NTP server? commit the changes. This will cause SATELLAR to reboot. set the NTP Server Address and adjust the synchronization interval if needed by the setting NTP Interval. make sure you have the IP connectivity available from SATELLAR to the NTP server. After the reboot, the NTP time synchronization will start. 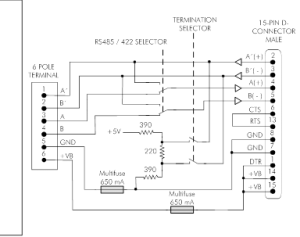 I need a RS-485 as a part of my or my customer’s SATELLAR solution. What do I need to take into account? A: Always contact SATEL Technical Support before ordering modems with RS-485 support. What is the end-to-end latency of the SATEL I-LINK 100 communication? How fast is the command from I-LINK 100 to another one? This depends slightly on the used radio modem as well as whether you have repeater in the network or not. Please see the following PDF for details. How to get RSSI and SNR values from SATELLAR radio network via WEB browser? 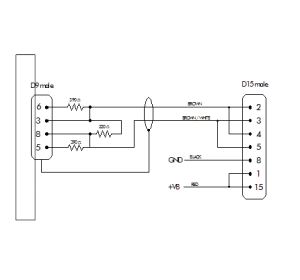 Channel spacing: Defines the frequency difference between adjacent radio channels in the radio modem. Channel Width: Occupied channel bandwidth. Typically channel spacing is the same in the radio modems as the channel width. In the context of Satel radio modems channel spacing defines also the width of the radio channel. *) The only exception is that SATELLINE radio modems with 20 kHz channel spacing uses 12.5 kHz channel width. 868 ... 869 MHz frequency range duty cycle limitation, what does that mean? The duty cycle is defined as the ratio, expressed as a percentage, of the maximum transmitter “on” time monitored over one hour, relative to a one hour period. The purpose of the duty cycle limit is to ensure that no single application can occupy this license-free band for more than a certain percentage of time. To see the settings and other related issues concerning the encryption, please read more. SATELLAR USB-A port can be used to update and setting adjustment / replacement purposes during the electrical reboot of the SATELLAR. The required hardware for these tasks is a basic, FAT32 performatted flash drive. SATEL wants to ensure the cyber security of its products and systems where SATEL products are used. Ensure that the SATEL XPRS radio network is protected by firewalls, so that only required, wanted traffic is allowed. Note that SATEL XPRS radios also have built in firewall. Ensure that physical access to radio devices is controlled and available only to authorized persons. See the XPRS access information -documentation on how to do this.